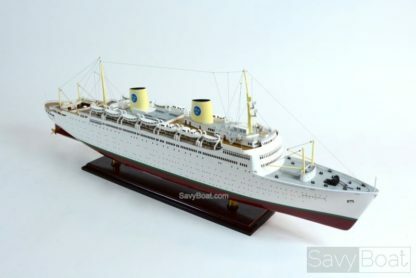 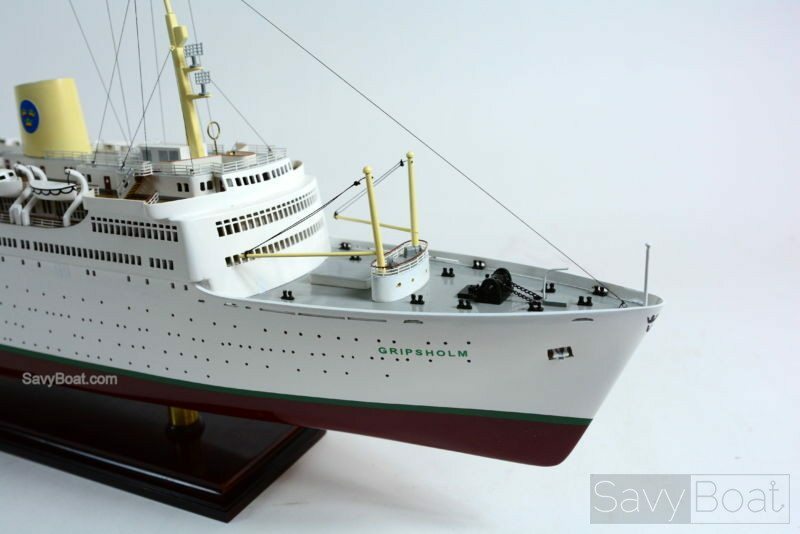 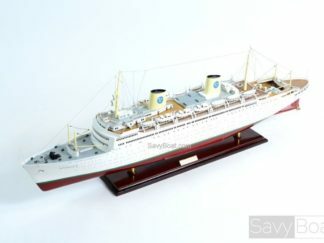 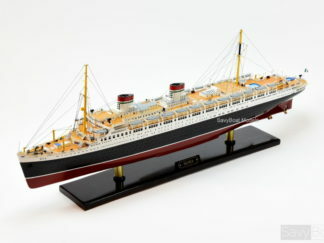 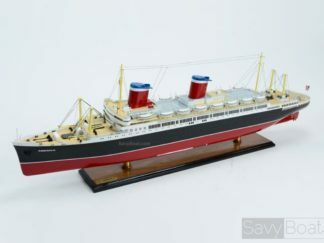 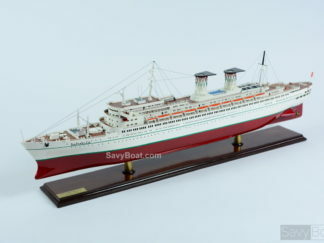 Now you can get this beautiful MS Gripsholm 1957 model for your home or office. Our master craftsmen handcrafted this nicely detailed model from scratch using historical photographs, drawings, and original plan. 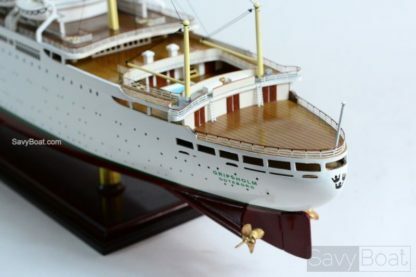 In addition, we selected finest woods to build this model. 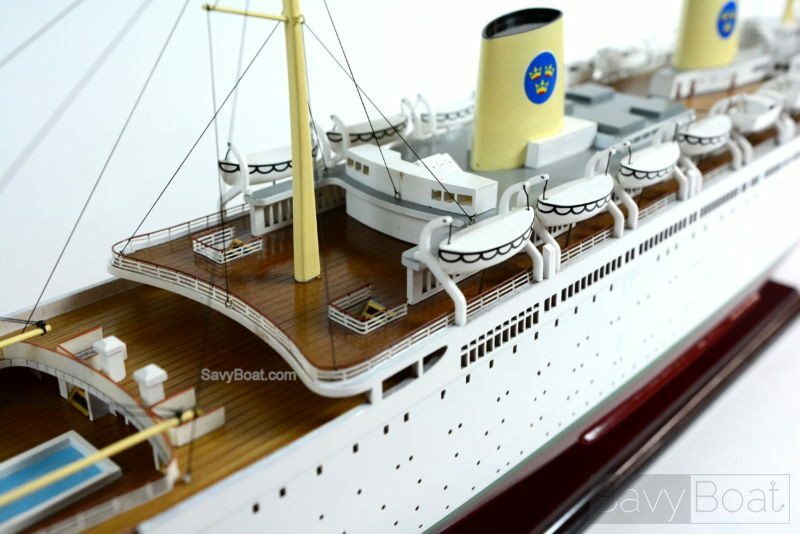 Also, we used plank-on-frame construction method which is similar to the building of the actual ship. 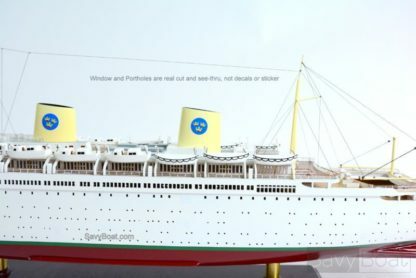 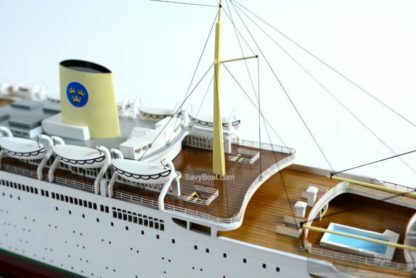 You can find many details of the model such as: All windows, doors, and portholes are cut out precisely thanks to hand-built hollow superstructure and hull; Open promenade decks visible through superstructure windows; Lattice grating on ducts and vents; Detail Lifeboats hung from launching davits. 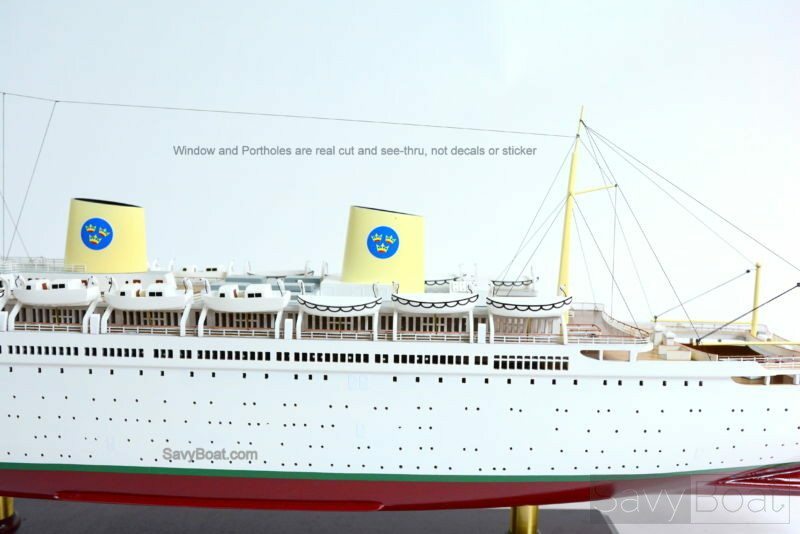 Furthermore, we applied multi-layered paint to match the color of the real ship. Finally, each model requires hundreds of hours to finish and must go through a demanding quality control process before leaving the workshop. 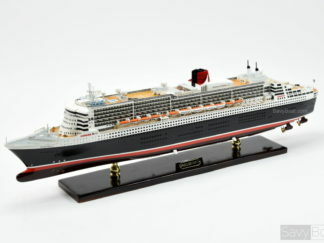 We mount the model on a solid wood base and she is ready to display. 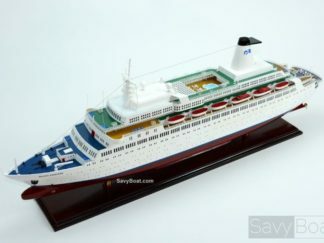 This model will be a perfect gift for home or office decorator, boat enthusiast, or passionate collector. 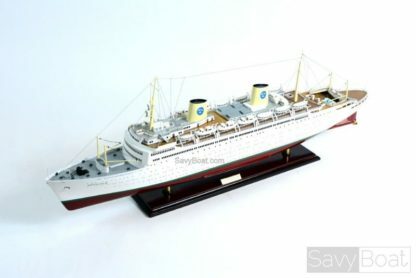 MS Gripsholm was an ocean liner and cruise ship for transatlantic traffic from Gothenburg to New York. 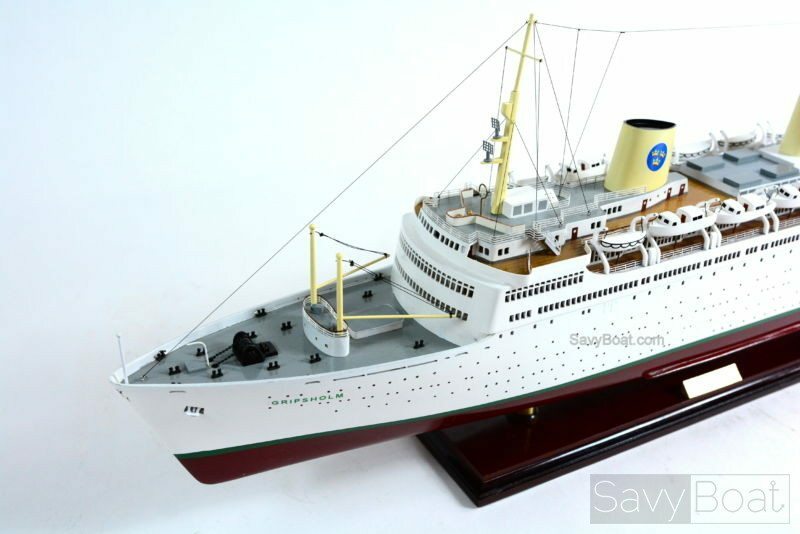 Ansaldo Shipyard built and launched her in 1957 for Swedish American Line. 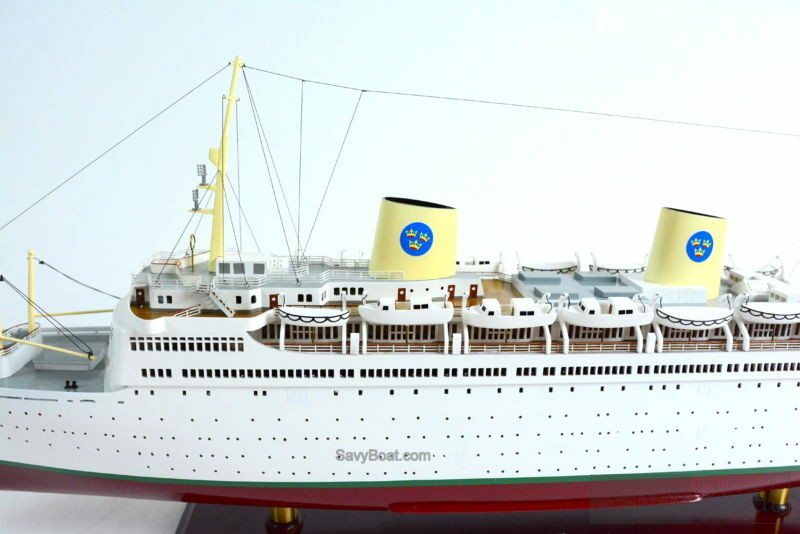 In 1971 they converted her into a pure cruise ship, ending her transatlantic career. 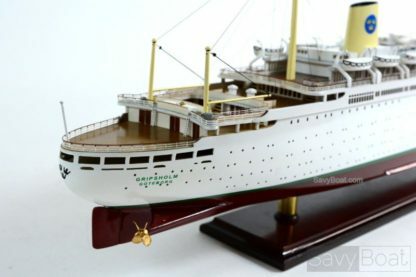 Then she sailed under the names MS Navarino and MS Regent Sea during her career before eventually being looted by pirates in 2001 and sinking shortly after. MS Gripsholm was a medium size at her time. 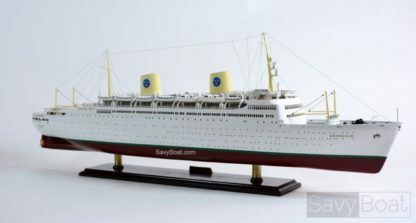 She was 631 ft length, 81.9 ft beam and a gross tonnage of 23,191. 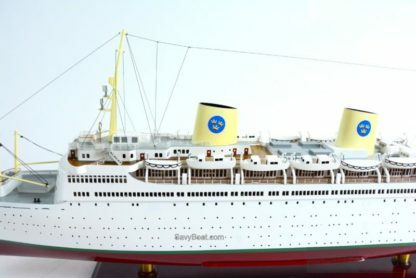 The propulsion system consisted of 2 Gotaverken 9-cyl diesels attached to twin screws, enabling the ship to achieve a service speed of 18 knots. 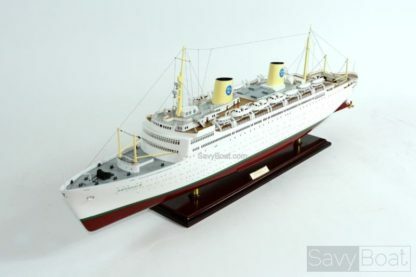 Like MS Kungholm, she was an icon of Swedish American Line with luxury design and can carry about 760 passengers and 365 crews.